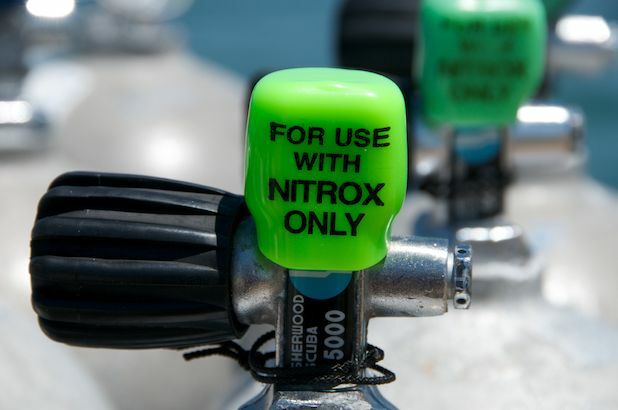 Nitrox Enriched Air Certification can be completed easily at the PADI Ocean Frontiers Dive School in the Cayman Islands. We recommend that you complete the eLearning class online prior to arrival in the Cayman Islands. This is certification does not require any actual dives or dive trips. The practical portion of the class is to analyse a nitrox tank and complete the data sheet, which can be done on land, or on one of our dive boats if you already have a trip booked. Ocean Frontiers does not charge any additional fee for Nitrox Certification providing the eLearning class has been completed and the class is associated with Ocean Frontiers when you sign up for the online class with PADI. A fee of US$180 will be paid directly to PADI. Certification processing with photo, use of O2 analyser and log. Cost of boat dives, Nitrox, rental gear (BCD, Regs, Wetsuit), dive computer, camera. Gratuities Not Included. Prior to certification as a PADI Enriched Air Diver, you must complete a Quick Review, a Practical Application session and either two enriched air training dives or predive simulations, with a PADI Enriched Air Specialty Instructor. Contact the Ocean Frontiers PADI Dive Center to schedule these sessions. The PADI Enriched Air Diver course online is $180.00 (US) nonrefundable. The fee covers the knowledge development training as well as unlimited access to the PADI Enriched Air Diver manual online. Your PADI Dive Center or Resort will charge an additional fee for participation in the Practical Application session and enriched air training dives, or predive simulations. Contact the Ocean Frontiers PADI Dive Center regarding these additional costs. Ocean Frontiers does not charge any additional fee for Nitrox Certification providing the eLearning class in completed and the class is associated with Ocean Frontiers when you sign up for the online class with PADI. A fee of US$180 will be paid directly to PADI. Sign up for the PADI Enriched Air eLearning Class here.